The All Progressives congress (APC) has released a schedule of activities for the upcoming Ekiti State governorship election. The election has been scheduled by the Independent National Electoral Commission (INEC) to hold July 14, 2018. The commission also announced that campaigns start officially on April 15. 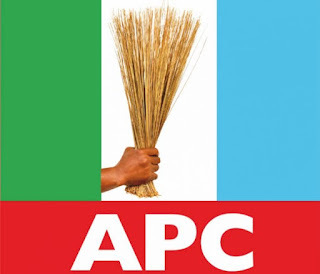 The APC’s schedule was made known in a release signed by the party’s national organising secretary, Osita Izunanso, on Friday. PREMIUM TIMES had reported that not less than 29 aspirants have either written or visited the secretariat to indicate their interest in contesting the governorship election even though most of them are yet to declare publicly. Some of the aspirants include former governors Kayode Fayemi and Segun Oni; special adviser to the president on political matters, Babafemi Ojudu; former senator Gbenga Aluko; former assembly speaker, Olufemi Bamisile; former Labour Party candidate, Opeyemi Bamidele; and former chairman of the Ekiti State Hospitals Management Board, Bamidele Faparusi. The activities of the party for the election will start with the sale of forms from April 9 to 17. Afterwards, the aspirants will be screened from April 23 to April 25. Other activities like appeal, primary election, and primary election appeal will follow. The APC seeks to dethrone the governing PDP in Ekiti.